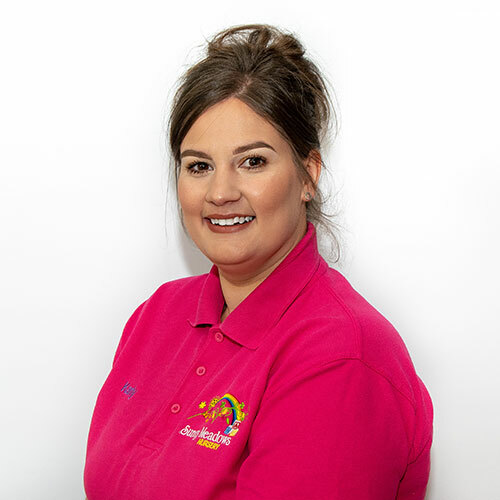 Kay and Natasha have a unique vision for Sunny Meadows Nursery, their quality staff reflect their ongoing passion for their drive in providing the highest quality early years’ experience for all children and families. We strongly believe the purpose of education is to nurture each child’s ability to be resilient, independent and confident individuals. Our practitioners are on hand to ensure each child received the highest quality early years’ experience. Sunny Meadows nursery is overseen by two highly experienced managers who hold many years of early years’ experience. 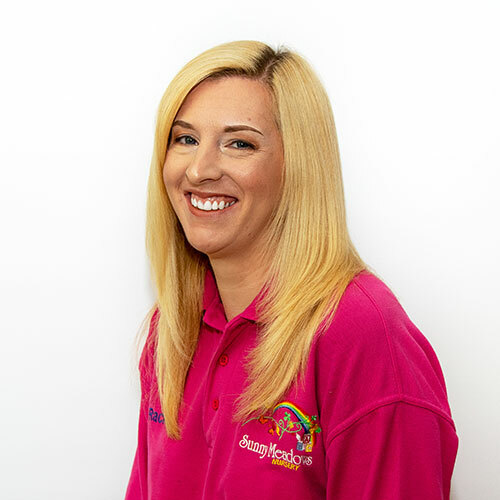 Each room within Sunny Meadows is supervised by a senior nursery practitioner and a team leader who work closely with the nursery management to ensure the best possible care is provided for all children and families. I have worked in an early year’s environment since 1995 and started at Sunny Meadows nursery in 2003 when it opened. Over the years I have seen the nursery go from strength to strength and I have met some amazing families along the way. 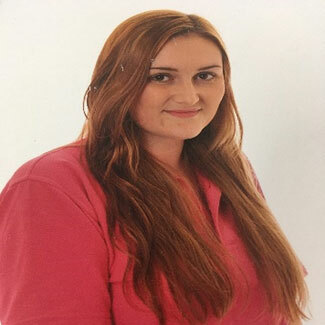 Natasha and I work closely together to ensure the nursery is run to a high standard. We believe our reflective outlook provides us with the tools to ensure we make changes and improvements so that the service we provide is an outstanding one. I also take on the role as designated safeguard lead to assist families and practitioners with any support they may need. 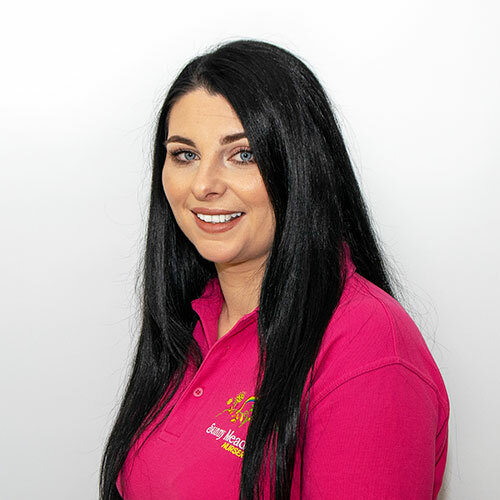 I started my journey at Sunny Meadows nursery in 2005, from this time I have gained a vast amount of knowledge and experience which has driven our team in providing an outstanding early years’ experience for all of our families which have come through our door. Kay and I share the same vision to ensure the children and families are at the centre of everything we do. We are extremely fortunate to have such as dedicated team around us who all share a passion for early years. Working closely with our practitioners we provide a safe, secure and nurturing environment where children can thrive and develop as individuals. Kay and I believe in a hands on approach working closely with our children and families to ensure the best possible early years’ experience. 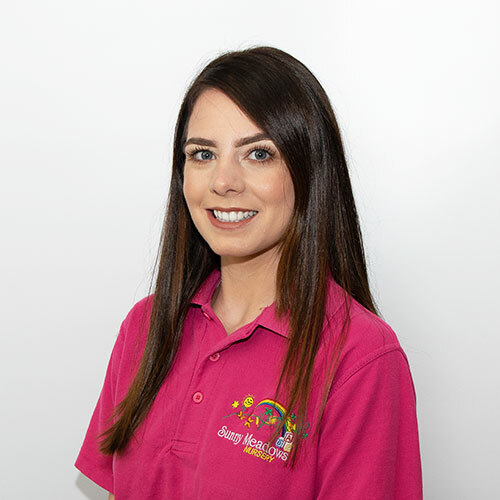 I also take on the role as nursery SENCO ensuring all of our children and families with extra support needs are well equipped to obtain the right help and support they need at Sunny Meadows. 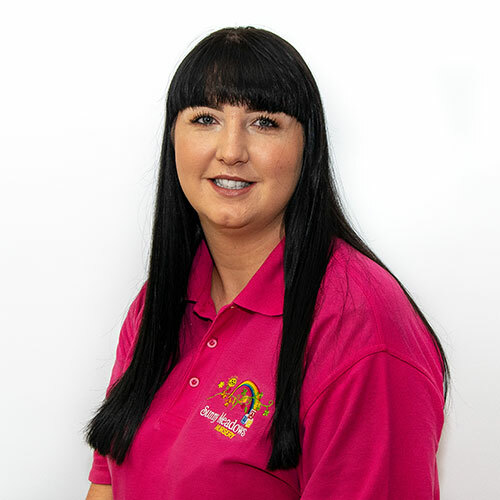 I joined Sunny Meadows nursery in 2011 and have gained a wealth of knowledge and experience working with the under 2’s. I have such a strong passion working with this age group and I learn something new every day. 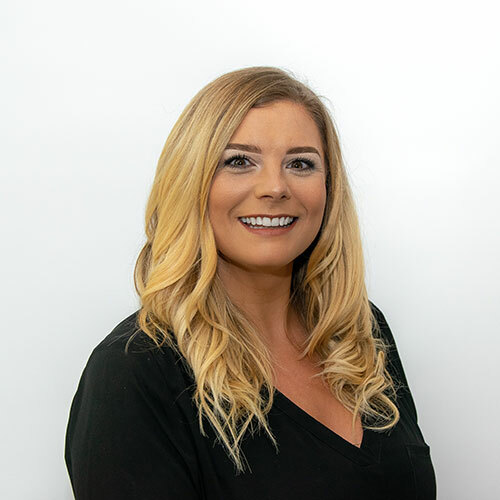 My team and I are dedicated in building strong relationships with our families, I believe it is so important to get to know who we are so they feel comfortable leaving their little treasure in our care. I am currently attending university to gain further knowledge in the early years and to become an early year’s teacher. 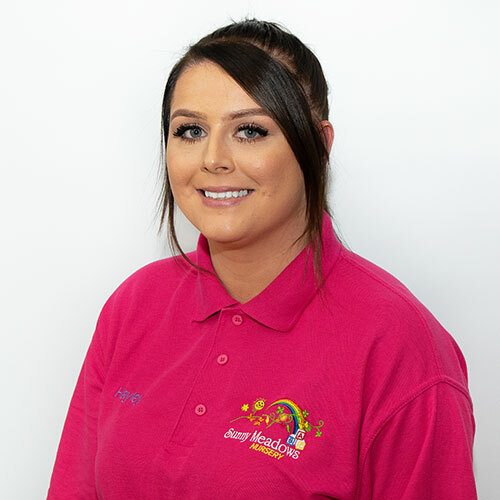 I started working at Sunny Meadows in 2007 as a nursery apprentice, over the years I have gained experience and knowledge which has driven my personal progression to a senior nursery practitioner. I love to watch the children grow and develop into confident individuals and see them flourish during their time with us. I have a fantastic team of nursery practitioners who all share the love of working with young children. I began my career at Sunny Meadows nursery in 2010. I feel my strongest attribute is my creativity, I love to bring new ideas into my room to create a stimulating and fun experience everyone. Hearing the children laugh and seeing their excitement is the best part of my job as well as getting to know their own little personalities develop. I began working at Sunny Meadows in 2007. I like to observe the children as they play and enjoy seeing them grow and develop in all areas of learning. My team are extremely driven in supporting all children during their time at nursery and providing a rich learning experience. 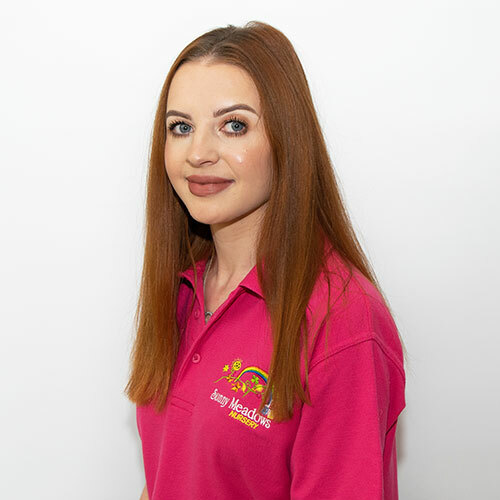 I joined Sunny Meadows in 2011, from this time I believe I have developed a vast amount of knowledge and experience working with all age groups. I love to explore and get messy with the children and see their little faces when they found out something new. I am currently extending my knowledge through attending university to become an early year’s teacher. I have been a member of the Sunny Meadows team since 2008, not one day is the same which I love about the career I chose. Even though I have been in this career for many years I still feel that I am learning something new every day. I have a strong passion in special educational needs and have recently completed my level 2 in autism. My team are my strength and we ensure that all children and families feel welcomed, special and individual during their time with us. I joined the Sunny Meadows family in 2005. 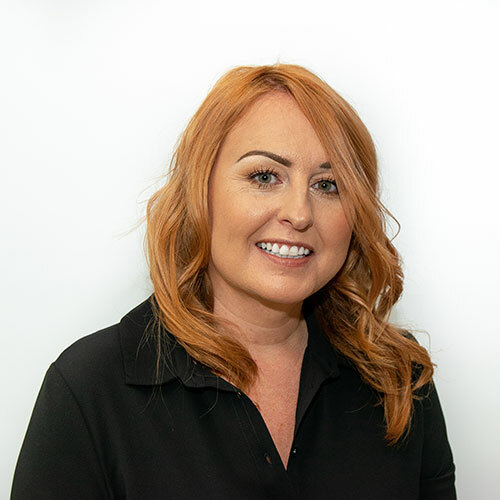 I work closely with Natasha and Kay to deliver the best possible pre-school experience for all children and families who come through our door. I take pride in the outstanding quality of teaching and learning we provide in the Smarties room and my team are constantly working to develop this further. My passion is the outdoors and I strongly believe that the great outdoors provides such rich first hand experiences. My favourite time with the children is our camping sessions where we all spend the day outside building dens, toasting marshmallows and making home grown vegetable soup on the outdoor stove. I started my time at Sunny Meadows in 2012 and have worked with the pre-school children from this time. I love to see the children develop into independent individuals and watch them learn and grow ready for their transition to big school. My favourite part of my job is getting the children involved in the local community. I feel this is such an important aspect to enhance our children’s sense of achievement and care for others. I plan a variety of community events with my children such as our visits to the local residential home, litter picking and our work with the local food bank. The nursery is open from 7.30am – 6pm Monday-Friday. The nursery operates several sessions between the hours of 7.30am – 6pm. Please contact either Kay or Natasha for up to date fee prices and session options. © Sunny Meadows Nursery. All rights reserved.